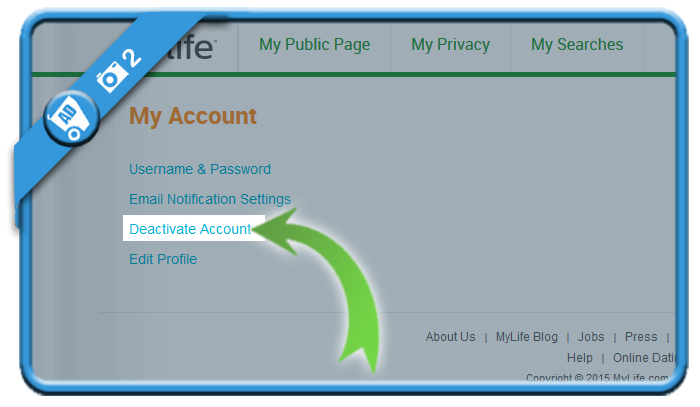 If you want to close a Mylife account, you can easily do that in the Settings page of your account. and click on your name initials in the upper right corner. Then select My account. 2 Choose Deactivate account (in the menu on the left side). and don’t be distracted by the orange Control your identity button. 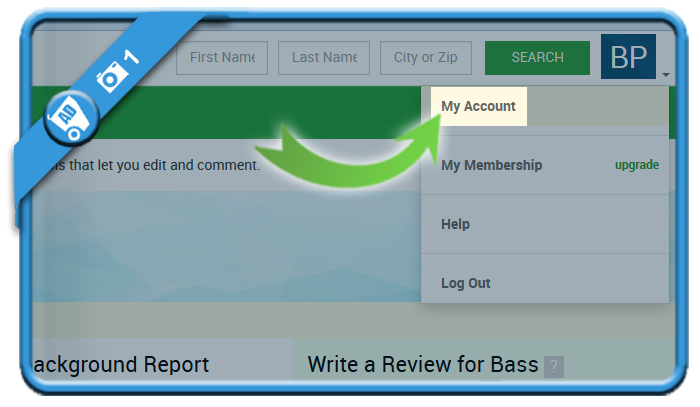 Your account will be deleted immediately and permanently. Unfortunately this method is not correctly described. 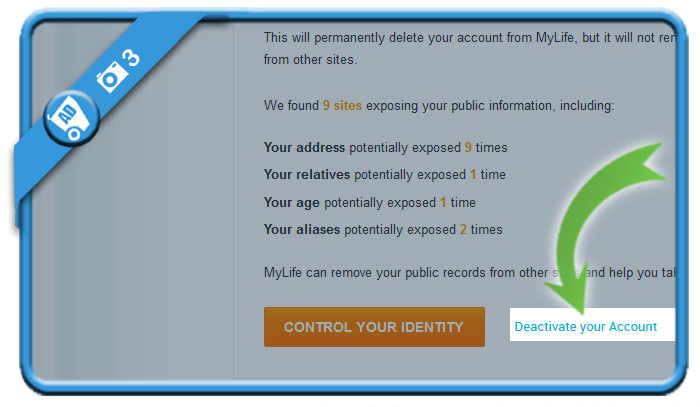 At step 3, the screen does *not* contain buttons for “Control your identity” or “Deactivate your Account”. Instead, the screen says, “To continue deleting your account, please call this toll-free number: 1-888-704-1900.” I’ve not yet tried the number, but I expect it connects to someone in customer service who tries like hell to dissuade you from canceling your account. It’s possible that they’ve made a text change in the last 4 months since this article was published. Thanks for sharing the update. Once your accounted is deleted, can people still tell if you have searched for them in the past?